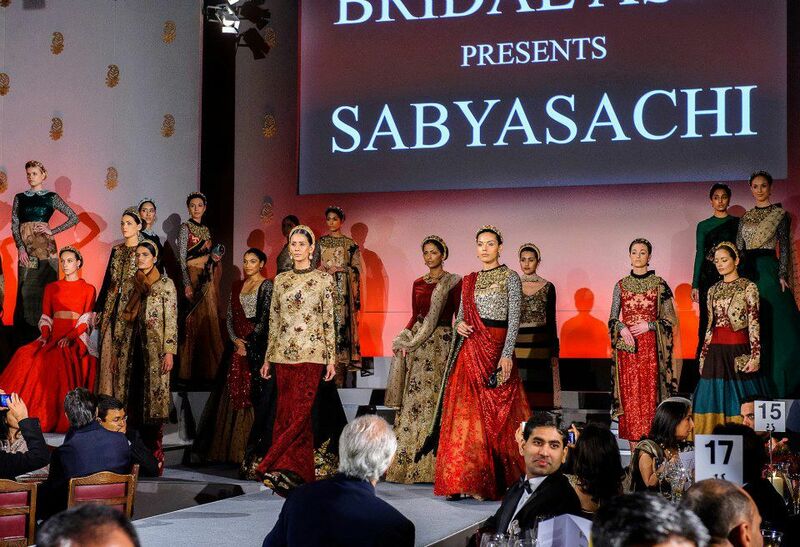 Earlier this month, the charity Pratham UK held its annual gala dinner which included a lavish fashion show featuring Indian designer Sabyasachi. Here are some photos from the event. 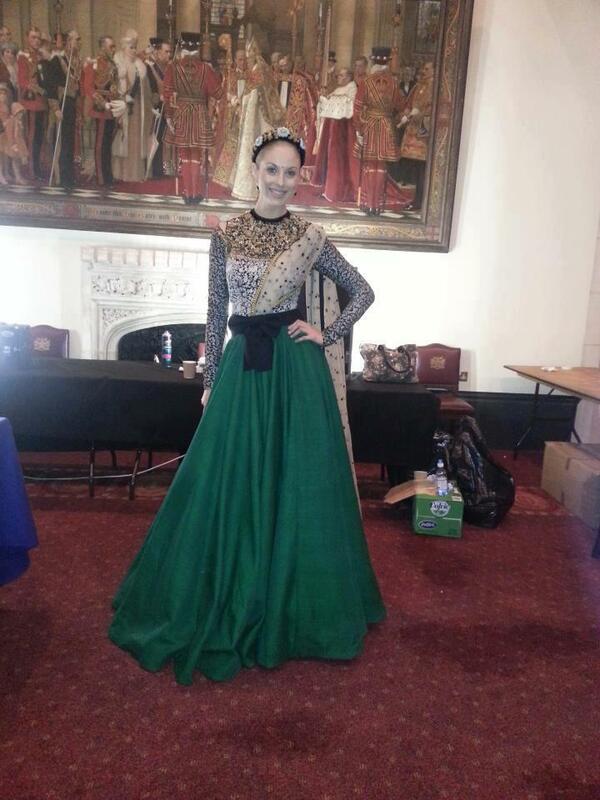 This outfit was one of my favourites from the show. There was plenty of fashion to be seen on the guests at this event too. 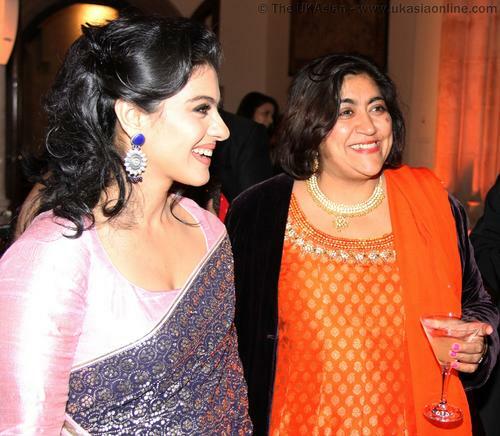 Bollywood actress Kajol was the guest of honour at the event, pictured below with film director Gurinder Chadha. 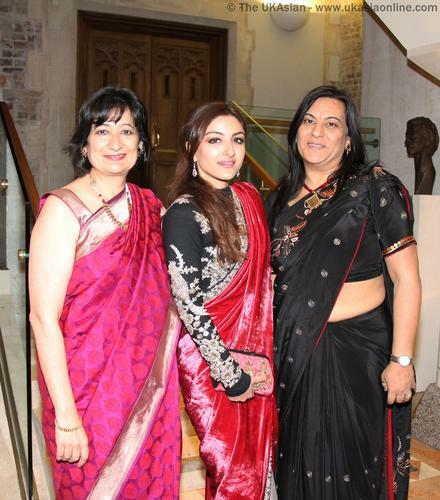 Another Bollywood actress, Soha Ali Khan, also attended in what looks to me like a Sabyasachi sari. View more photos from the event over at the UK Asia Online photo gallery. For more information visit the Phulkari London facebook page, or read my review of shopping with them here: Phulkari London shop review. This is a new asian designer store which had its official store launch a month ago in September. Find out more information via the Aashni and Co facebook page. 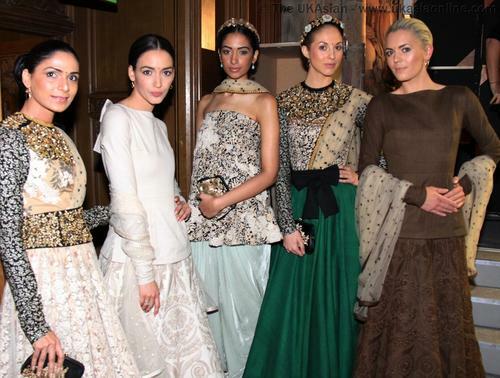 Online store Pernia's Pop-up Shop also stock Sabyasachi and even have a competition on at the moment to win a Sabyasachi sari! 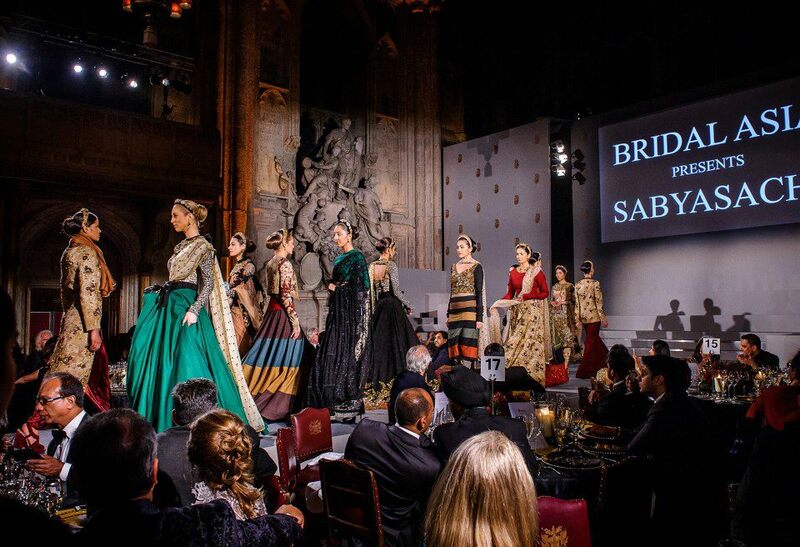 Find out more about how to win here: win a Sabyasachi sari. 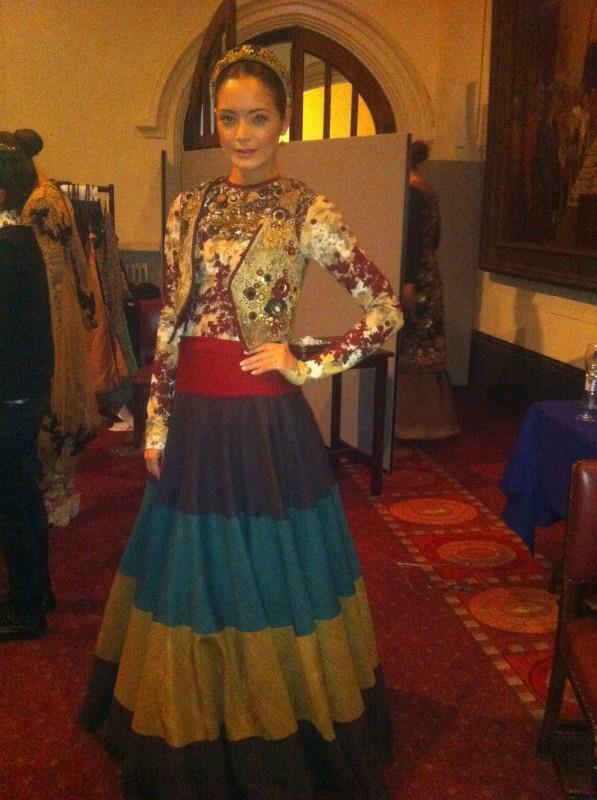 If you know of any other UK retailers who stock this designer let us know by leaving a comment! 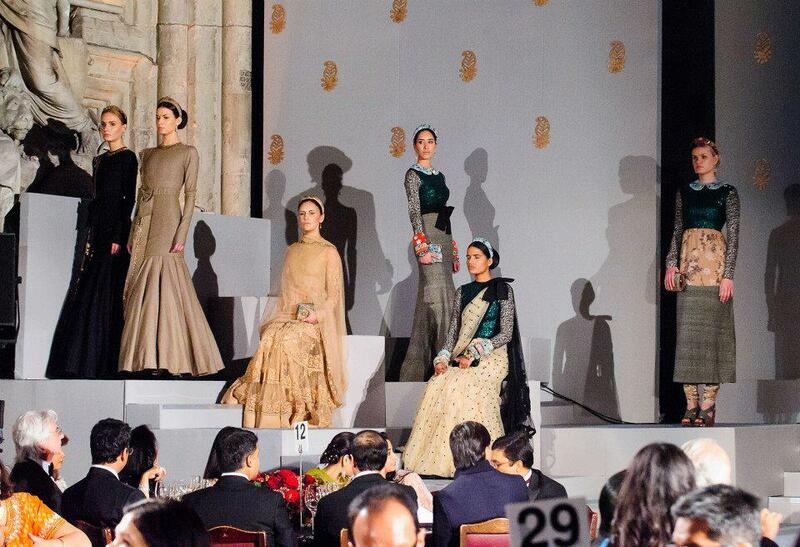 Photo credits for this post go to Sabyasachi Mukherjee facebook page and UK Asia Online.